Aye mates! 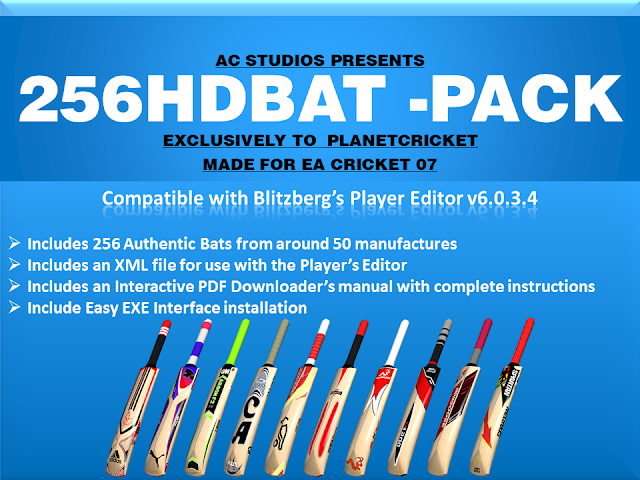 It’s been a long time since I have published any patch or so, so it’s the time to publish a new batpack created by a new type of studio – AC Studios! Yes, we finally have a batpack after the sensational ZAX-256 BatPack! 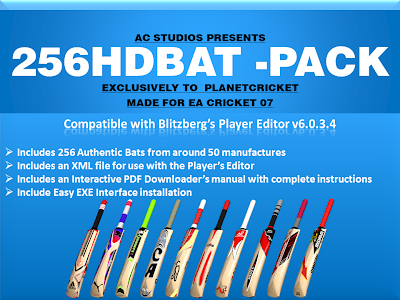 NOTE: This patch is only for modders and developers, so if you guys want to download it, make sure you’re going to utilize it, because there’s no use since it’s not a cricket patch or somewhat! Looks pretty awesome right? This batpack is completely created by AC Studios and I am publishing this with their permission. After all, this hard work deserves at least this spot! Facing any problems? Please comment below, and if your comment is proper enough, you’ll receive a guarantee reply from either Ayush or one of Cricket Patches’ members! batpack download link not available what should I do?? There’s no download button/link to download the ‘bat pack’. Only Downloader’s Manual PDF link is present.